We are always looking for new crafts in our house. 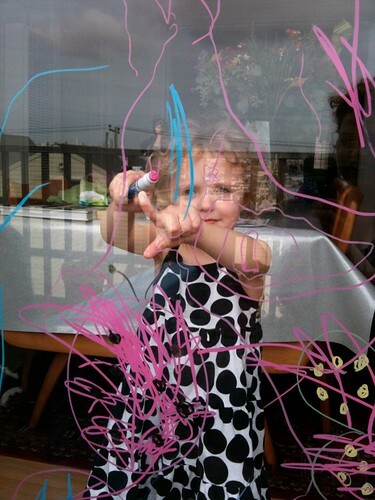 And recently we found Crayola Window Crayons. We have had a lot of fun with them. 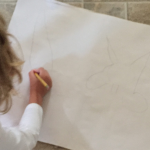 In our house, we have an easel. And chalk. And, obviously crayons and markers of several descriptions. 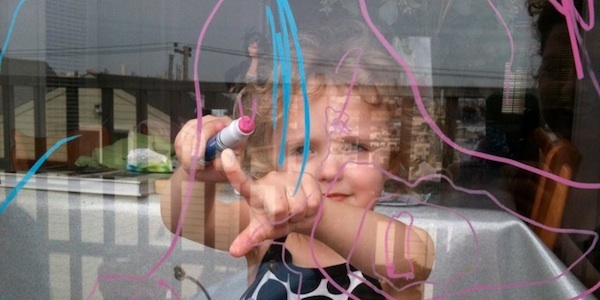 But these window crayons do not require paper, so I was very excited to add this variation to our art box. The crayons themselves are SUPER fun. Jambi loved them, I loved them and Grandma Bunnie loved them. They have a great texture. They feel like a hard pastel when they go on. Physically they are bigger. The caps are huge, and easy to put on and pull off. And they don’t dry out without the caps, so it does not matter if one goes missing for an afternoon. 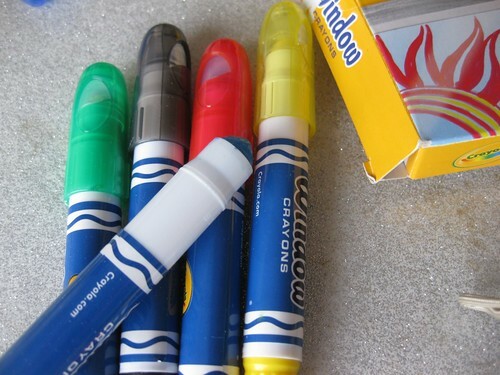 The main part of testing these crayons was to see how they clean up. (A little detail about our house – we do not use paper towels. I have different sets of cloths and rags for different purposes. I made it a point to eliminate the expense and the waste of paper towels a long time ago.) 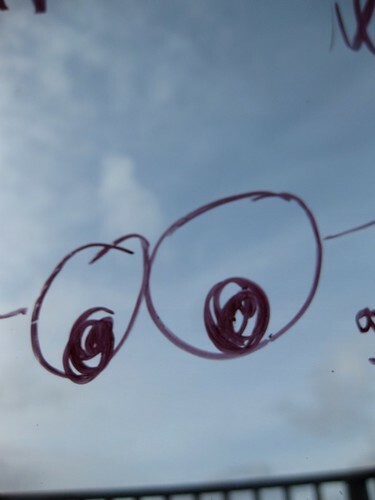 If I got window crayons, because we could use them without paper, and then we end up using 43 paper towels to clean the window, the whole experiment would be a failure. We have some microfiber cloths that I use with cleaning products and I cleaned the windows with those. 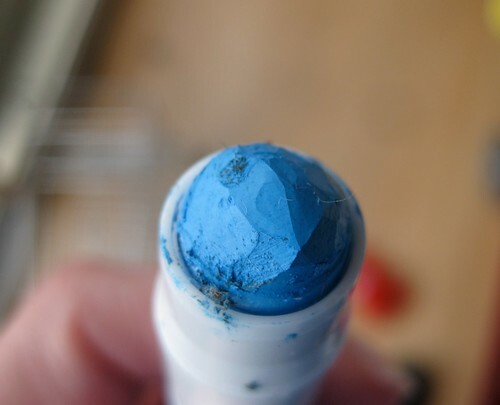 The ‘pastel’ nature of the crayon itself was reflected in the clean up. It took many cloths to get the window clean. 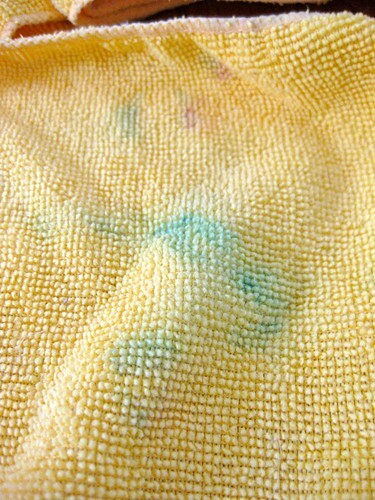 When I washed the cloths, all of the color did not come out. So, just know that. Does it matter? No. I wouldn’t clean the window with my clothes, so if a stained rag is the worst thing that happened, then we are fine. 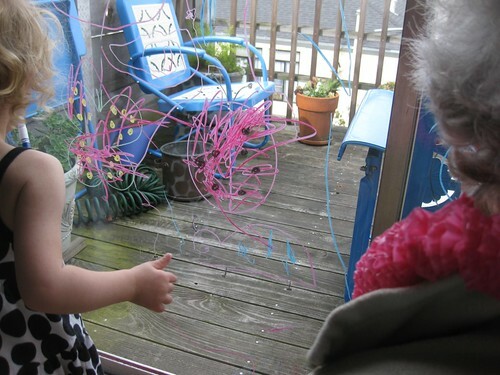 And for the record, the crayons really stay put on the window (and don’t rub off on your clothes) They are not “oily” and they are fairly smudge resistant. PS. We did not get paid or receive any free product to write this. But we would sure like to. So feel free to send us big packages of crafting supplies and projects to test out, and we will get right on it! 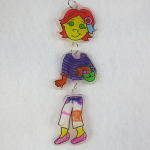 7 years ago by Susi in Crafting with Kids , Crafts , Reviews | You can follow any responses to this entry through the RSS feed. You can leave a response, or trackback from your own site. Those are all good thoughts. We have a roll of paper over the easel already, and that gets used at wrapping paper. Great review. Glad they came off the windows. I used some crayons that were for the tub once and still have spots of the red on my white tub. We may have to add these to our supplies at camp so the kids can decorate the windows. Always a fun thing to do. Jenny, Holy Smokes I would not be happy with a stained tub. It is stuff like that that parents need to share. 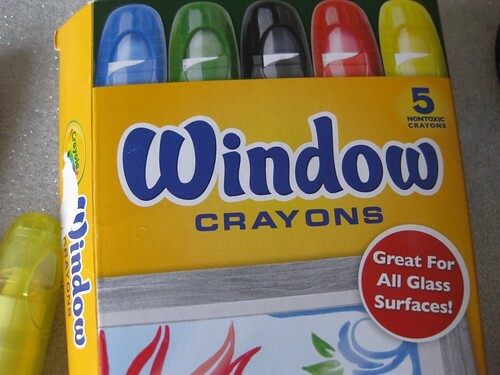 These crayons say that they specifically can be used on car windows too. That would be fun for a sporting event or a kid’s team thing. Neat. 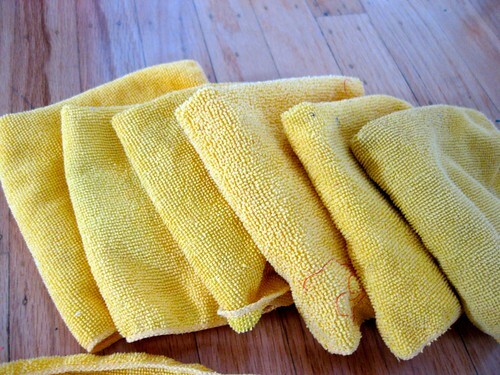 Where do you find microfiber cloths? I use rags instead of paper towels, but I can’t find microfibers. 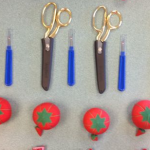 King – I saw some just today at the dollar store!